How can I study in the United States? If you would like to pursue educational opportunities in the United States, you have to apply for either a F-1 or M-1 Visa. 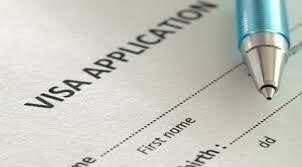 To qualify for a visa, you must be enrolled full time in an educational program, speak English or enroll in an English program, and have sufficient funds to support yourself during your stay. If you have questions about which Visa is right for you, schedule an appointment at https://jljlawgroup.com/​today.